With such a fantastic list of resorts, it’s simple to list below 5 reasons why we love the Epcot Resorts! Our absolute favorite part about the Epcot Resorts is the ability to stay within walking distance to Epcot from many of the Epcot Resorts. With a special Epcot Resort guest side entrance into Epcot, you don’t have to worry about fighting the monorail/bus/driving traffic and crowds you’ll find at the main Epcot entrance. But we can’t stop there! Many of the Epcot Resorts have excellent proximity to Hollywood Studios. Take the walking path to Hollywood Studios or boat over to arrive at within minutes. Of course, the usual bus transportation is available at all of the resorts which is particularly helpful if you are staying at Caribbean Beach Resort. While this resort is an Epcot Resort, it is the only one that isn’t in walking distance to Epcot or Hollywood Studios, but rather a short bus ride away. The ease of access from these Epcot Resorts to two of Disney’s four theme parks is a huge time saver! Well, you don’t have to worry about a shortage of dining options when staying at one of the Epcot Resorts! If you choose to stay at the Boardwalk Inn & Villas, you’ll probably have the best access to dining options out of all of the Epcot Resorts. This is simply because you are very central to the other Epcot Resorts. Boardwalk’s top picks would have to be Flying Fish Café, Big River Grille & Brewing Works, and ESPN Club. We also love Yachtsman Steakhouse, Cape May Café and Beaches & Cream Soda Shop at the Yacht and Beach Club Resorts. Take the easy walk over to the Swan and Dolphin Hotels for a vast amount of dining experiences from signature dining to lounges to quick service. Caribbean Resort is a short ride from the main Epcot Resort hub but worth a meal at Shutters at Old Port Royal. Let’s not forget about the endless dining options within the Epcot Park. If you have an extra ticket for park entrance, you will have no trouble selecting a great place to dine within Epcot. There was no shortage of fantastic ideas from Disney Imagineers when they erected the Epcot Resorts! Breathe in the tropical paradise and colonial architecture at Caribbean Beach, a New England and beachside atmosphere at the Yacht and Beach Club Resorts, Atlantic City theme at the Boardwalk, or relax at the stunning Swan and Dolphin landmark. Pick which theme seems to work best for you and your family and go for it! While the variety in tone and atmosphere at each Epcot Resort is excellent, we also think the price variation at each Epcot Resort works great for different budgets. 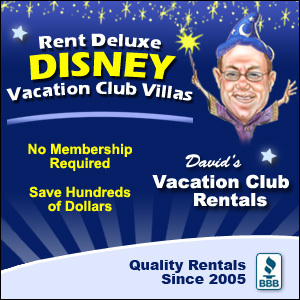 Go moderate at Caribbean Beach, deluxe at the Boardwalk Inn, or spread out in a deluxe villa at the Yacht Club. Select what suites you both in style and in budget. Epcot Resorts have the great advantage of shopping and enjoying entertainment just footsteps away. With the exception of Caribbean Beach Resort, the Boardwalk is in walking distance to the Epcot Resorts. Shop, pick up some sweets at Seashore Sweets, check out the street performers, and dueling pianos at Jellyrolls. Plus, with the short distance to Epcot, use that extra ticket for a day of shopping around the World Showcase with an easy trek home to your resort. A few points we must mention that just add to the reasons we love Epcot Resorts. First, we can’t say enough about the Mandara Spa at the Swan and Dolphin Hotel. Can you imagine spending a day in complete relaxation then taking the short walk back to your room? Or maybe you are a runner – Epcot Resorts have the best running/walking paths. Jog throughout the resorts while surrounded by beautiful scenery. Last but not least, staying in this area makes for an excellent opportunity to resort hop! Check out other resorts’ dining options, gift shops, lobbies, and recreation. You’ll be able to get some ideas of where you would like to stay on your next Disney trip! These are just a few reasons why we love Disney’s Epcot Resort. We’d love to hear what you love about Epcot Resorts!